This was a guest post done by James Hirlehey from BrickPals.com. A cool LEGO site definitely worth checking out and adding to your bookmarks! 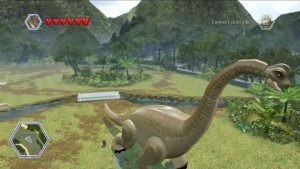 LEGO Jurassic World is one of the newest additions to the the series and while elements of it are soft canon in the films, it is essentially a more comedic funnier take on what happens in the films themselves. You can see this in the phenomenal LEGO: Jurassic World video game. We appreciate James taking time to discuss the LEGO versions and their availability in which and what sets. We look forward to additional guest posts by him as newer information comes to light in the future! 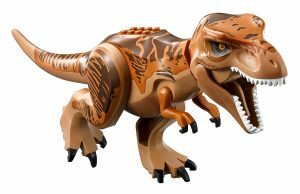 LEGO released its Jurassic World theme in 2015, with a new sub-theme coming in 2018, coinciding with the new movie in the series. 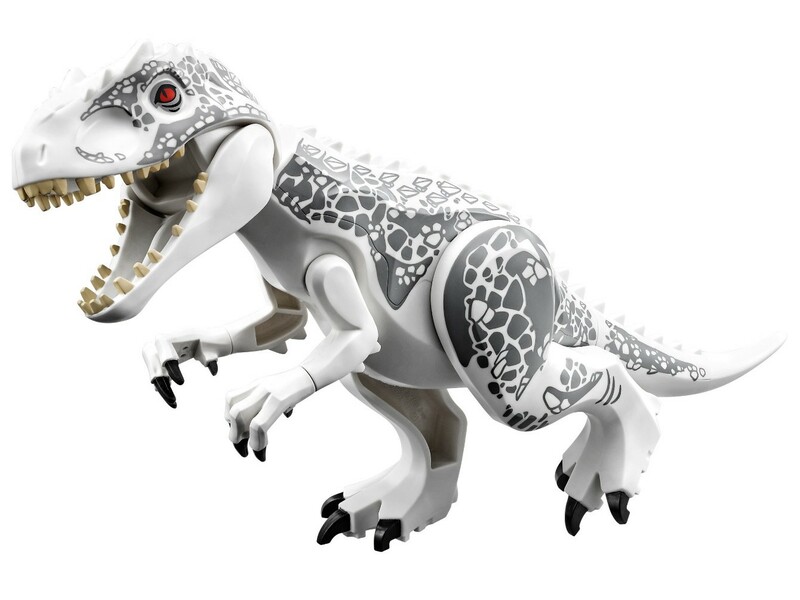 While this isn’t the first time LEGO brings out a dinosaur-related theme, it was the first time they address the Jurassic Park franchise directly. But we’re here to check on the dinosaurs, so, let’s check them out! 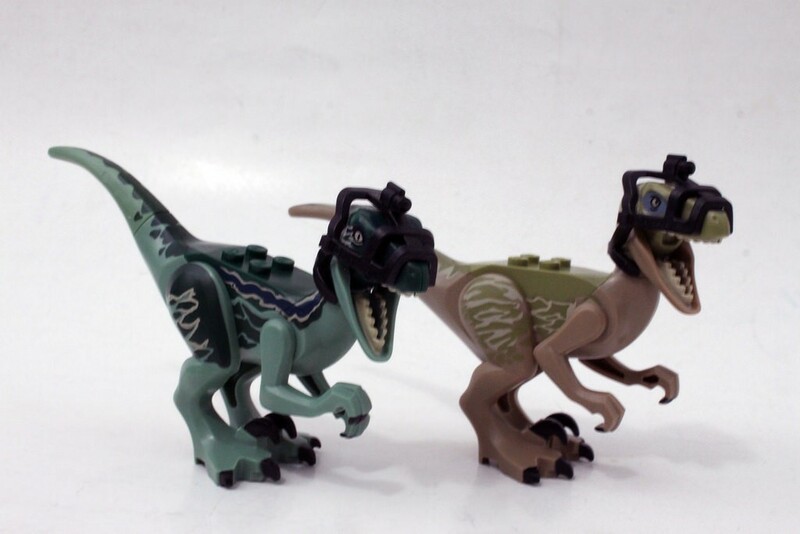 The LEGO Jurassic World sets include a variety of dinosaurs, with each set bringing one or two dinosaur figures. The theme ran throughout 2015, ending that same year, and came back with a new sub-theme in 2018. The new themes include more dinosaurs (as well as some repeats of previous sets). 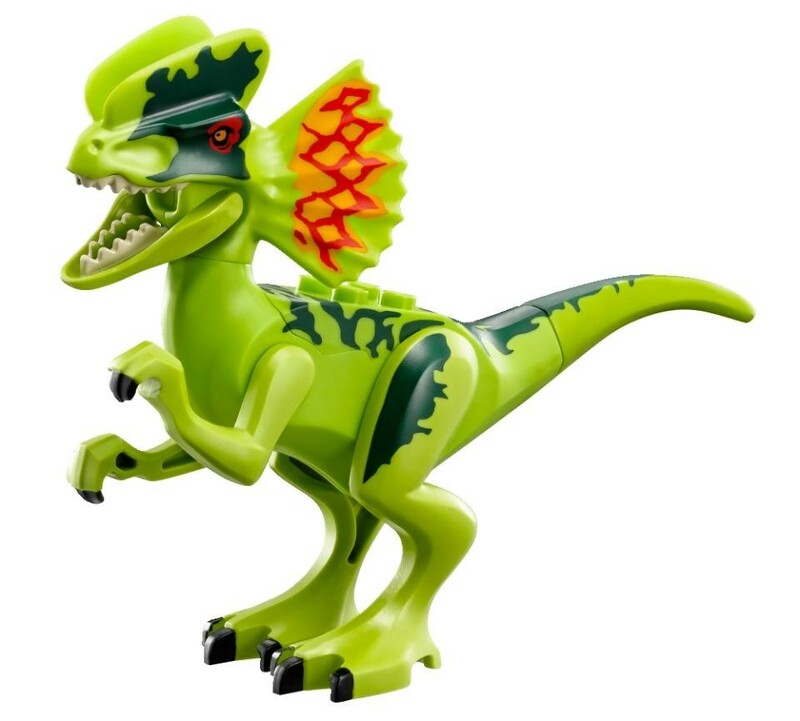 Even better, there are some dinosaurs in Juniors and DUPLO sets — which cater to a younger audience. This means even children as young as two will have something to play with. While the Jurassic World theme has many other features beyond the dinosaurs themselves, including minifigures and vehicles after the movies’ characters and scenes, enclosures and even buildings, the dinosaurs are of course the main stars. In this article, we’ll compare the main dinosaur figures included in these sets and their film counterparts. We will only mention their appearances in the Jurassic World theme, although many also show in other themes from LEGO. 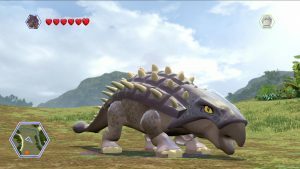 The Ankylosaurus never made it to a LEGO set proper, but it does appear in the Jurassic Park 3, Jurassic World, will appear in Jurassic World: Fallen Kingdom, as well as several video games. These include LEGO Jurassic World, where the Ankylosaurus appears in both the JP3 and JW levels. 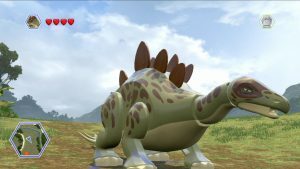 In the real world, there are precious few fossils for the Ankylosaurus, but enough we know this dinosaur was tough and heavily armoured. Most of us know that Jurassic Park’s Velociraptors aren’t actually Velociraptors. These dinosaurs in real life are much smaller than the ones in the movies and associated media. The ones in the franchise are closer to the Deinonychus in size, or the later-discovered Dakotaraptor. The latter is from Montana, where, coincidently, InGen found the Jurassic Park’s Velociraptors. These were found after the movies as well. In spite of the species differences, these dinosaurs are one of the most popular features in all the franchise. The Jurassic World universe brings four, which are very intelligent and trained by main character Owen. They are Blue, Charlie, Delta and Echo. In LEGO, Blue is, predictably, a blue colour, Charlie is green, Delta is a pale beige and brown, and Echo is orange and green. 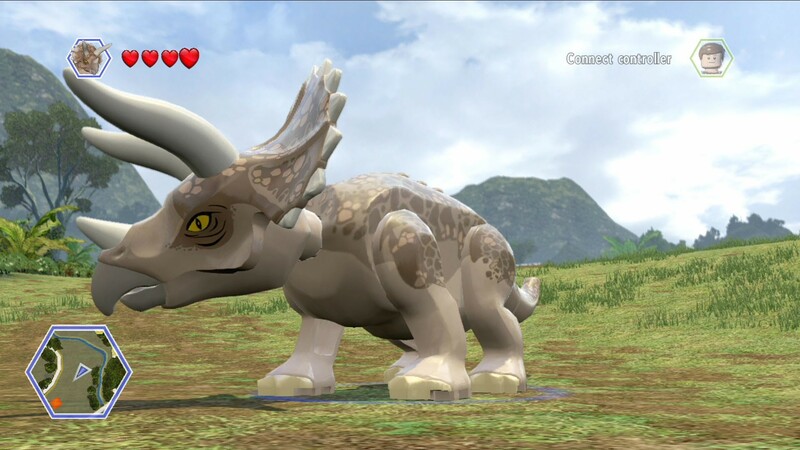 All of them appear in the Jurassic World LEGO game, as well as several sets (75920, 75917, 75928, 75930 and 75931). The Big One is the alpha Velociraptor seen in the very first Jurassic Park, and also one of the movie’s main antagonist. She will return to the Jurassic World: Fallen Kingdom movie, though we do not know her role yet. This beautiful animal will also have a physical release in 2018. 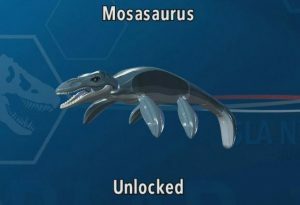 The Brachiosaurus appears only in the Jurassic World video game, as a playable dinosaur. In the movies, they appear in an iconic scene right at the start of the first Jurassic Park. These long-necked animals were once the tallest dinosaur we knew of, a position they no longer hold. 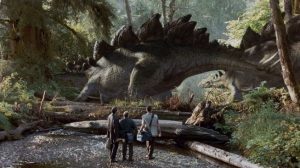 Still, the Brachiosaurus has an iconic appearance and the very first time we encounter them in the original movie is still a magical moment, even after many years. The Carnotaurus is an amazing specimen. This carnivorous animal has a short skull, spiked armour and horns, which gives it its name (“meat-eating bull”). They have very short arms, even shorter than a T-Rex’s, and will appear in their own set this 2018. They will also appear in Jurassic World: Fallen Kingdom. These beautiful animals are agile predators that have a pair of crests on their skull. They appear in the original Jurassic Park movie (in a rather awesome scene) and in several other media, including LEGO format. They appear in two sets: 75916 and 75931. 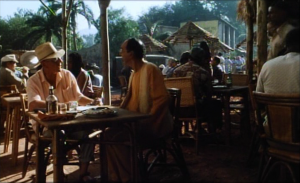 The Gallimimus appear in Jurassic Park, The Lost World, and Jurassic World. In the original movie, they appear as the running flock that is so iconic and nostalgia-inducing. The scene was a feat of CGI at the time and still impresses today. 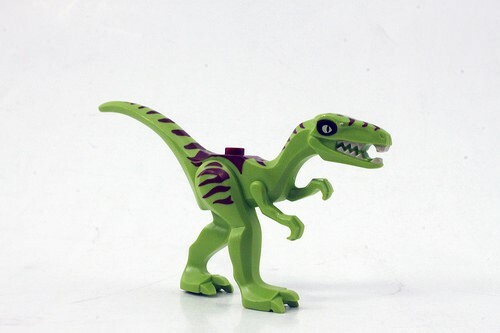 The LEGO version appears in the video game as well as in set 30320. Unfortunately, the Gallimimus figure doesn’t quite resembled this actual species but is just a recoloured Coelophysis. Ah, the Indominus Rex. This is one of the two (thus far) dinosaurs without a real-world counterpart. This animal is a genetic-engineering experiment, appearing in the Jurassic World line. This marvel dinosaur has genes from several species, including cuttlefish, which gives it colour-changing abilities. This allows the Indominus Rex to camouflage itself quite well. Originally, it’s a whitish grey, which is how it appears in LEGO format. 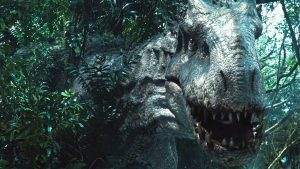 The Indominus Rex is very intelligent and very strong, which makes it a formidable enemy to both other dinosaurs and humans. The hybrid has several different abilities, gained from the genes used to make her. In LEGO, she appears in set 75919, and, of course, the video game. What is the Indoraptor? This one we do not know yet, as it will appear in the upcoming Fallen Kingdom. It seems significantly smaller than the Indominus Rex, but also familiar enough that it bears a resemblance to it. This one is pitch black, with an orange/yellow stripe that resembles Blue’s metallic blue one. The Indoraptor also has very Velociraptor-like characteristics, which implies it is some sort of hybrid of Indominus Rex and raptor. It will appear in set 75930. This one is the one aquatic lizard seen in the movies. This massive animal is large enough to take on the land-based Indominus Rex when no other dinosaur on the island could. It is one of the main attractions of Jurassic World, resembling a Sea World sort of presentation. While animals of this species appear in older LEGO sets, it only appears in the LEGO Jurassic World video game and has no physical form in the theme. The Pteranodon is somewhat a staple in the Jurassic franchise, appearing at the end of The Lost World and featured more prominently in Jurassic Park 3. They also feature in Jurassic World, comic books and more. 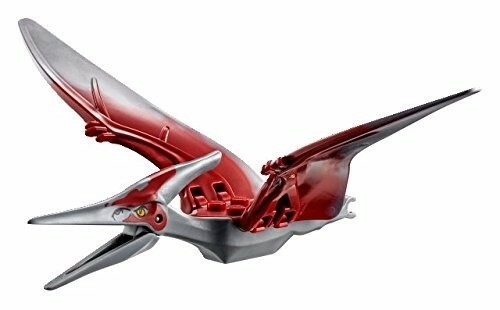 These massive, winged reptiles are the only flying presence in the franchise. Pteranodons aren’t actually dinosaurs. They are simply winged reptiles. Still, they’re often counted among dinosaurs for practical reasons, as their real-world counterparts coexisted with them. 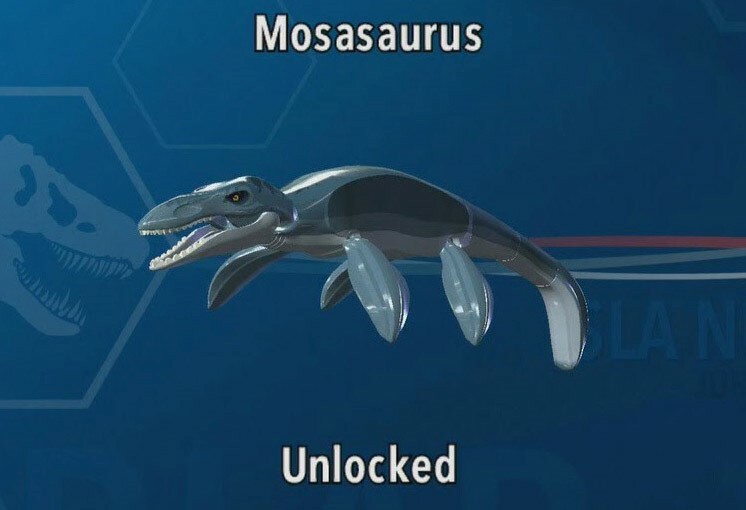 They appear in the LEGO Jurassic World video game and sets 75915, 10756 and 75926. 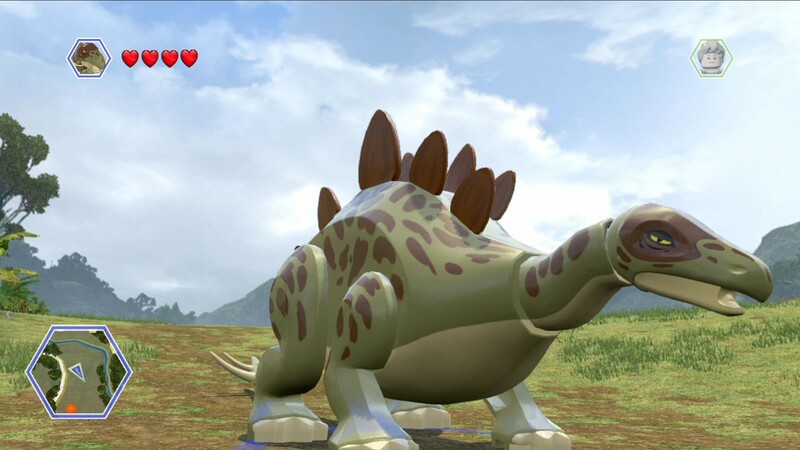 The Stegosaurus appears only in the LEGO Jurassic World video game, and in other LEGO, dinosaur-related sets. Still, this is a very popular dinosaur, with its trademark back spines and a spiked tail. 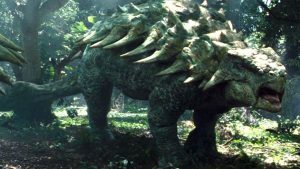 The Stegosaurus appears in all movies but the first one, in some fashion, and as it’s a wildly popular dinosaur, will likely keep appearing. This unique dinosaur is a type of Pachycephalosaurus. It will appear in the Fallen Kingdom movie. It has a domed head like its relatives, with several spikes crowning it. 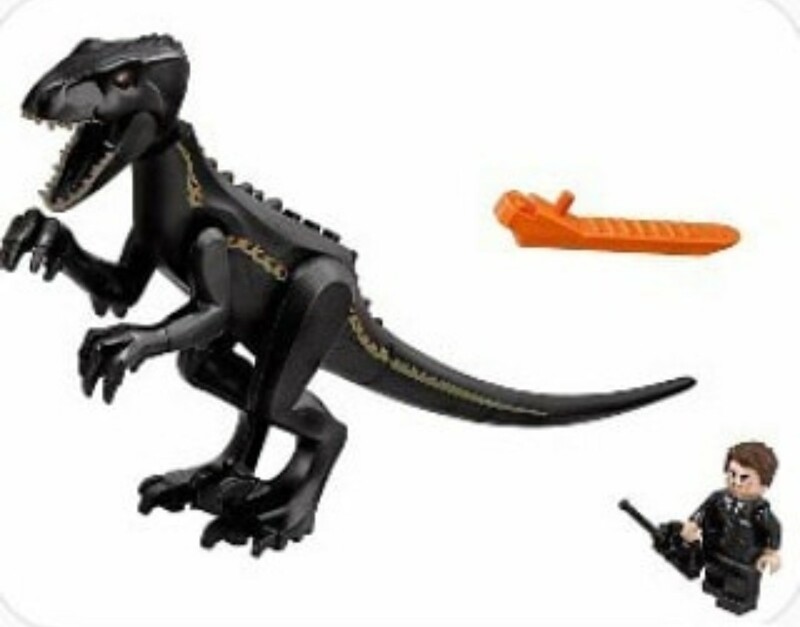 This will feature in the 75927 set, Stygimoloch Breakout. This is also one of the most popular dinosaurs ever, together with the Velociraptor, the Tyrannosaurus and the Stegosaurus. 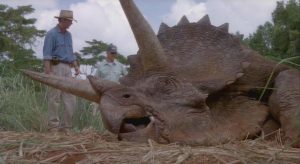 The Triceratops has three horns on its face and a wide fill. It is a herbivore and appears in all movies — including the upcoming one. They live in herds and are usually interpreted as peaceful, although a fearsome opponent to predators. In LEGO, we see her appear in DUPLO sets (10879 Gentle Giants Petting Zoo). It’s a fitting appearance as she is highly popular with children. Closing our list of dinosaurs, we have the T-Rex. The main attraction of the original Jurassic Park movie, the T-Rex is likely one of the most (if not the most) popular dinosaur of all time. 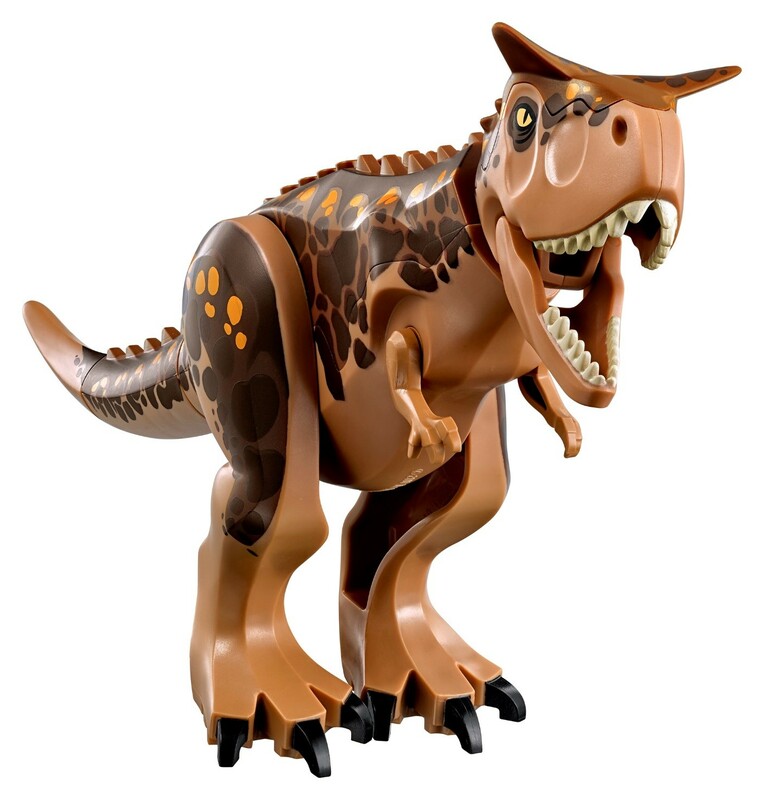 We first met them on the big screen as Roberta, the female T-Rex that survived all the way through all movies and several media formats, including, of course, LEGO. The Tyrannosaurus Rex is a massive predator. For a while, we believed it to be the largest terrestrial one until we found even bigger animals. 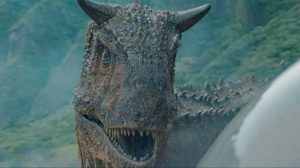 Nonetheless, the Tyrannosaurus became a symbol for dinosaurs everywhere (including the Jurassic Park franchise as a whole). This animal was bipedal and had two significantly shorter arms, although not as short as often shown in media. The canon also includes other Tyrannosauruses, including a male one, and eggs. However, Roberta remains the most popular and present one, a true survivor, strong enough to take even on the Indominus Rex, albeit not enough to overpower her. 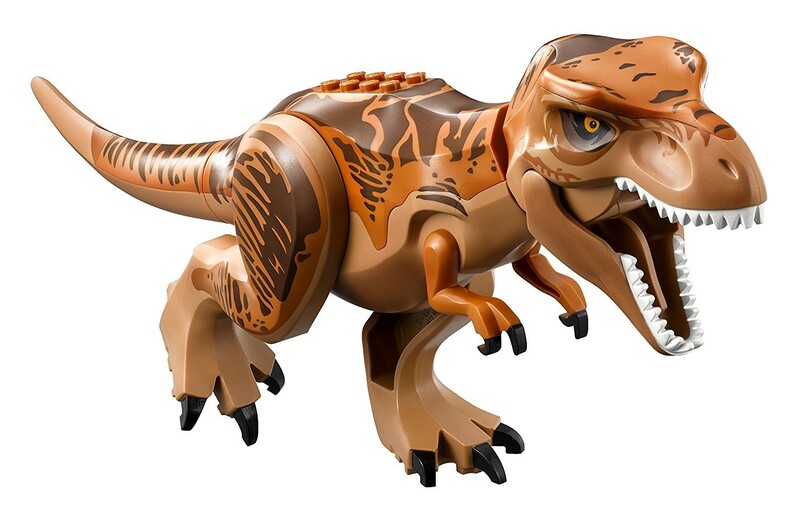 In LEGO format, she appears in sets 10880 (a DUPLO set, T. Rex Tower), 75918 (a Systems set, T-Rex Tracker) and 10758 (T-Rex 7Breakout), thus appearing in all age groups. 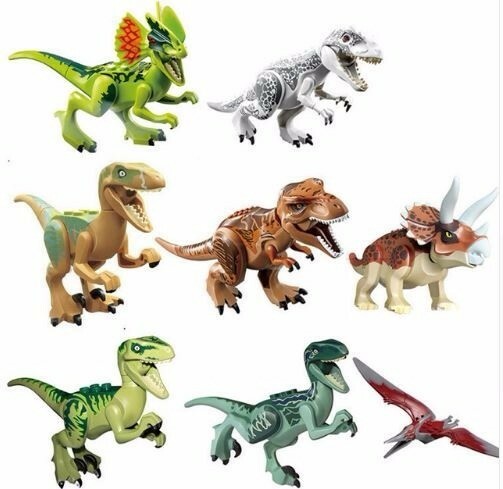 So these are the dinosaurs that LEGO adapted into their sets from the Jurassic World franchise. We covered only the Jurassic World theme itself. Other LEGO dinosaur-themed sets may have dinosaurs of other species that overlap with the franchise, but the sets themselves do not belong to it. For more LEGO information, sets and Jurassic World information, check out BrickPals’s website here. Once again, thank you James! You are awesome!